So you haven’t been to confession in a while. It’s not uncommon to be intimidated by confession — even terrified. Remember the first time you jumped off a diving board? Moved into a dorm room? Traveled alone? Most experiences that may initially seem scary or off-putting have the potential to change your life. It’s also normal to question the purpose of the sacrament, wondering why you cannot do away with an intermediary and communicate with God directly. Admitting your faults out loud can be liberating, as can hearing someone else tell you your sins have been absolved. Humbling yourself enough to confess to a priest — rather than privately to God — diminishes some of the pride that causes you to sin in the first place. Furthermore, priests can offer you concrete plans of action and helpful advice about how to live a more virtuous life — resources that would not be available to you if you avoided the sacrament altogether. Father Joe Scott explains that reconciliation offers him insight into which areas of his life need improvement. “It is a way of taking an honest look at our own lives and ‘taking inventory’ of our relationship with God,” Father Scott says. What if confession is just what you need? 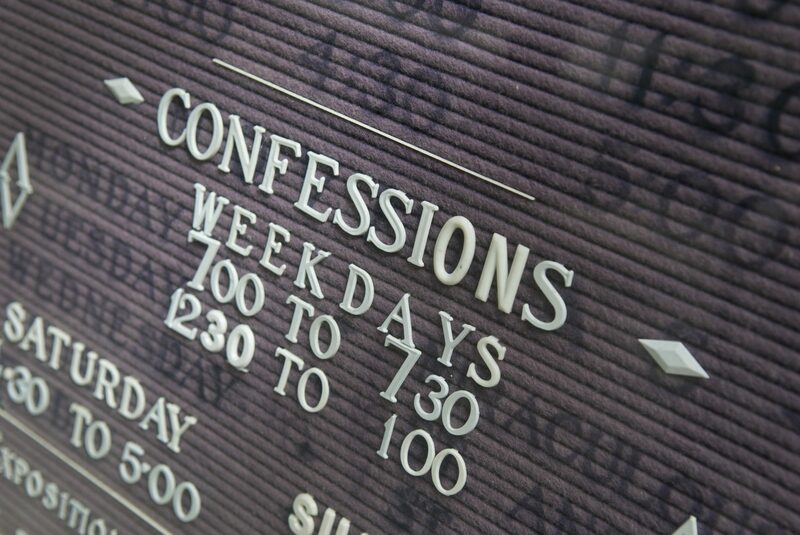 If you are considering going to confession, here are some tips to get you through. 1. You have the option to talk to the priest face-to-face or through a screen. Take your pick, but remember the priest is there to help you, not to judge you. Any sin you conjure up, he’s likely heard before (many, many times). According to Father Joe Corpora, a Missionary of Mercy appointed by Pope Francis to place special emphasis on absolving sins, there’s no need to feel embarrassed about your wrongdoings. Corpora reassures doubters that priests intend to help and heal, rather than judge. 2. The dialogue doesn’t have to be formal or structured. Try your best to talk freely with the priest. It’s a priest’s obligation to make you feel as comfortable as possible, Father Corpora says. 3. You don’t need to remember every sin you’ve ever committed. It’s essential to make an honest examination of conscience, but that doesn’t mean naming every sin since your last confession (especially since that could have been years ago!). Some of the most healing confessions involve honest expressions of fears and challenges. Feel free to talk about what you are facing in your personal life, and the priest will probably help you figure out what’s getting in your way. 4. You are worthy of forgiveness. No action is too shocking or sinful to be absolved. 5. Even the pope has been in your position. The most admired role models of holiness and grace still see value in attending confession. Every saint ever canonized was a sinner. Corpora says he understands the benefit of an intermediary, because he cannot absolve his own sins. 6. You will leave feeling more peaceful and joyful. “Owning up to your wrongdoings offers you the opportunity for personal recovery and growth,” says Sister Maria Gemma. Considering giving this sacrament another try? A healing confession starts with reflection. Take some time to check in with yourself and your conscience. Do what works for you — sitting in silence or jotting down notes. Remind yourself that this is a no-judgment zone.